The upcoming test of the Bulava missile has already had more than its fair share of troubles. After the quite spectacular (literally) failure in December 2009, the program entered into a long soul-searching phase. It was clear that figuring out what went wrong would take some time - in January the Navy announced that no new test will take place until summer. In May the target date was moved to the fall. The decision to proceed with tests was approved by a commission that was assembled to look into the program troubles. Sometime at this point August 2010 emerged as the time to resume the tests. According to the defense minister, the current plan is to test three missiles that were assembled with special care and in nearly identical conditions. Apparently, the hope is to see whether the problems are related to the design or they are a production quality control issues. This kind of approach strikes me as a bit simplistic, but at this point the designers have few other options. It appears that the test was first scheduled to take place on August 10th, but it didn't - the State Commission was reportedly ordered to postpone the test for about two weeks. The delay was a bit longer and the next attempt to launch the missile was to take place in the early days of September. Everything was ready - the Dmitry Donskoy submarine left the port with a missile on board, all systems were prepared for the launch. It is not clear what exactly happened next - it seems that the defense minister called off the test at the very last moment. It was expected that the test will eventually take place in the end of September, but the Ministry of Defense moved it to some unspecified later date. Beginning of October appears likely, but at this point it is hard to make any estimates. At some point before the last delay, the project changed its chief designer - Aleksandr Sukhodolskiy was appointed to the position of the general designer of sea-launched solid-propellant missiles. Yuri Solomonov retained the post of the general designer of land-based ICBMs (in July 2009 Solomonov also left the post of the Director of MITT). These changes most likely have something to do with the delays in tests, but it is hard to tell exactly what is going on. Apart, of course, from the obvious observation that the Bulava program seems to be in trouble. The Bulava problems have already affected the submarine construction program. The lead ship of the Project 955 class, which will carry Bulava, has just completed the last round of production trials and is being prepared for being turned over to the Navy. 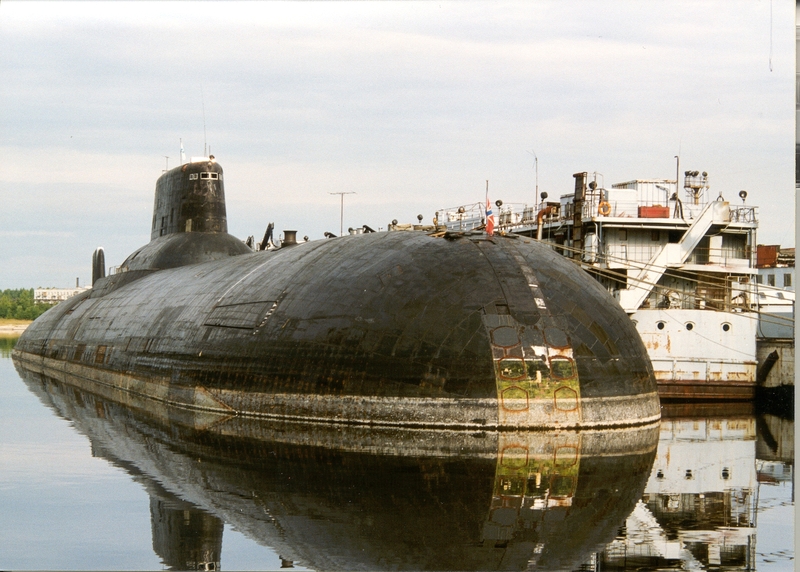 Sevmash is building two more submarines of this class, but the fourth Project 955 sub has not been started yet - the Sevmash report lists only two ships under construction. Construction of the fourth ship, Svyatitel Nikolay, was expected to begin in December 2009, but then this date was moved to March 2010, only to be quietly postponed again. Now all eyes are on the next three Bulava launches - although a failure is unlikely to lead to termination of the program, some serious changes would probably follow. But even if the tests are successful, it would take some time for the Bulava to prove that it is a reliable missile. Павел!Добрый день!Как Вы считаете-возможен ли в современных российских условиях (кадровая яма,развал ВПК и пр.) выпуск сразу 2-3 типов стратегических ракет (Тополь-М,РС-24,Булава) в значимых количествах? As we have long discussed, building a sea-based ballistic missile system is highly technical and complicated work. The engineering staff, designers and manufacturing technicians for creating such a system as the Bulava require special skills sets and there is simply no substitute for experience. Today, Russia is paying the price for taking ten to fifteen years off from SLBM (sea launched ballistic missile) development. That being said, I continue to believe, in time and with yet additional technical problems to be encountered, this missile system will be build and be “successful.” However, it does beg a question. At what point, technically (or politically) does the Kremlin abandon this project? At what point, does it make more sense to plow the vast monies being spent on Bulava back into a land-based system? Would Russia have been better served by building a replacement SS-19 “heavy” ICBM rather than any SLBM system? With the vast geographical expanses of Russia for mobile ICBMs, does the Kremlin even need a sea-based deterrence? These are very good photos. Thank you. As for the 667BDRM submarine, I'm sure it is not "unknown." What is exactly this number? Я не знаю, чему этот номер соответствует. Нужно смотреть на другие лодки и корабли. Anyway, anyone understanding the background behind the MAD doctrine and retaliatory strikes would not concern himself with such questions. Per the Kremlin, the next three test launches of Bulava are special order missiles; not from normal production sources. These test missiles have been constructed outside of normal manufacturing procedures to attempt to determine if the “flaw in Bulava” is a component issue or whether the fault lies in the assembly process. It seems the skills of the Russian technicians are indeed in question here. If you read my post, I strongly suggested the Bulava project would be successful in time and I clearly expect this system to have even future issues before it is certified for use. Solid fueled or liquid is not an issue. Building a new SLBM and host submarine for the first time in years is the issue. No insult meant or intended. One reason the United States continues to order new Lockheed D5 Trident missiles each year is to maintain the industrial base needed to develop and build such weapons. The US hasn’t built a new ICBM since the LGM-118A Peacekeeper (1986-1995). When, and if, the United States replaces the Minuteman III system with a new ICBM, we’ll have the same military industrial issues as Russia faces today with the Bulava. I would be careful criticizing the technical efforts and support technicians of China and India. Do you think MAD with 1550 warheads still exists? 1550 warheads? In all? As a result of SALT talks? Either way, MAD will always be a criterion for Russia (and I bet for US too) as long as weapons of mass-destruction exists. Be it 1 or 1550 warheads. I believe the military strategy and national security policy of Mutual Assured Destruction (MAD) is an anachronism of the Cold War. When the recent arm control agreements are fully implemented, Russia and the US will only be able to have 1550 warheads deployed; with corresponding restrictions on launch vehicles. However, I do believe such an nuclear inventory provides Mutual Assured “Deterrence” between Russia and the United States. Neither side will be able to launch a “first strike” without losing twenty cities in return. What argument between Russia and the United States is worth such a loss? In Russia’s geographic position as the world’s largest country, with vast countrysides to hide mobile launchers, is Bulava really necessary? That was my point of discussion. I’m sure you meant New START and not SALT. Frank Schuler,you know these weapons are made to remain in active duty for many years, and they must be thought to deter, as effectively as possible,Russia's enemies/competitors of the future. Who may be the same, today's, ones, or even brand new. Given the quick advance, and global diffusion, in stealth technology, I can foresee that every great Country will have got one or more types of stealth manned/unmanned aicraft in the next future,and this means that ICBM silos and trucks will have become vulnerable. If it is feasible to "sanitize" quite large portions of "home seas" from enemy attacker subs, Balistic submarines will remain rather safe from preemptive destruction, and thus able to react (and deter!). I think you make an excellent point about the changing geo-political world both Russia and the United States will face in the future. I will graciously concede the point that submarine launched ballistic missiles (SLBM) are the best weapon system to guard against such technical surprises in the future. I think one reason the British are so committed to a Trident replacement is exactly for that reason. By the way, your English is perfect!